As a remote freelancer, this is something you probably hear on a regular basis (I know I do). And it can be great, exciting even, to choose between different locations based on what you feel like on any given day—that is, so long as you know where to go. It’s draining to work from your home or hotel room day after day, but the unpredictability of workspaces can quickly eat away at your bottom line. What if location X’s WiFi is down again? What if location Y is too crowded? These risks can mean the difference between meeting your deadline and missing it. Without an office to routinely head to every morning, the burden of finding dependable locations to sit down and get things done falls on your shoulders. Having traveled for the past few years, I’ve grown accustomed to quickly identifying suitable places to work in a new city or town. Depending on your specific trade, electronics situation, and even the time of day, one spot can be better than another. I’ll share my tips and tricks for discovering your next office-for-the-day. The local coffee shop has long been a classic spot for business, whether you have an early morning client meeting or need an afternoon pick-me-up. With the rise of remote working, coffee shops have also become a great spot for many freelancers to accomplish their daily work. They offer many advantages over the other workspaces that made this list, but they do have a few drawbacks. Coffee shops are used by remote workers across the globe, and it’s not hard to understand why. They offer plenty of comfortable seating, good coffee (a common addiction among those of us who work remotely), and, in many cases, excellent food. In addition, the cozy atmosphere, interesting decor, and calming background music are attractive features. These all add up to allow coffee shops to offer many of the comforts of home, while still helping you be productive. Coffee shops are also great if you like to work unconventional hours. While places like libraries often close fairly early, many coffee shops, especially those in large urban centers, open early and close quite late, with some cities even having 24-hour options. While there are plenty of great reasons to choose coffee shops, for some of us they can be less than ideal. This is usually due to a few common issues. While seating is often plentiful, the number of available electrical sockets usually isn’t. This could be fine if you have a laptop with a long battery life or a heavy duty power bank to rely on, but for the rest of us, this can be a major problem. 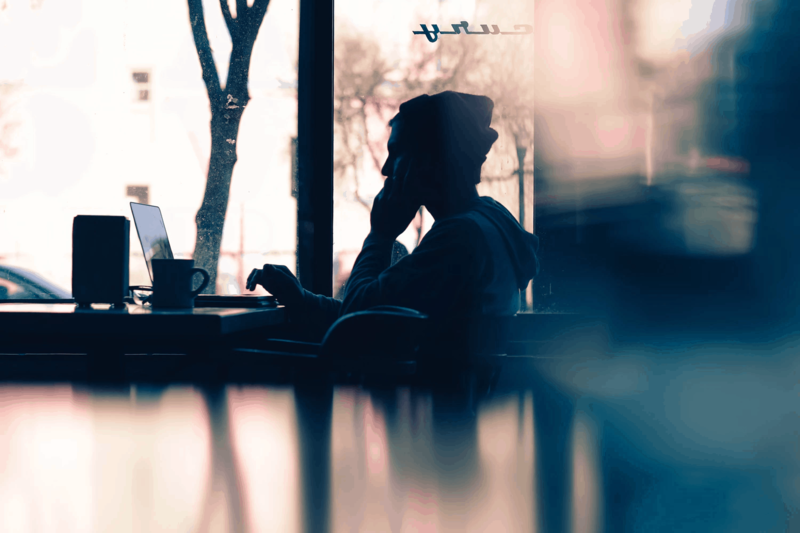 A slow or unreliable internet connection is another common problem at many establishments, making coffee shops a real pain for anyone who is highly reliant on technology for their work. And while they’re one of the cheaper options available, they’re still not free. Depending on the specific location’s tolerance toward remote workers, you may be expected to make several purchases throughout the day. These small expenses can add up quickly and cut into your bottom line. One final issue to note is that coffee shops are often loud and distracting places to work, and, if you’re like me, you may require silence to concentrate. This is a bigger problem if you’re an online teacher or if you need to hold conference calls. The background noise can make you appear unprofessional and make getting your daily duties accomplished incredibly difficult, if not impossible. Arrive early for a good spot. This is important if you need access to an electrical outlet (an external power bank can come in handy when one is not available). Be considerate of the establishment. Don’t take up a table for four when the place is packed, always at least have a beverage in front of you (otherwise you’re no longer a customer), and be sure to tip the staff. Bring a mobile hotspot. If fast internet is essential, it’s best not to rely on the establishment, especially as speeds will drop if many people are logged on at once. Head to a big chain. Coffee shops like Starbucks tend to be less fussy than small, independently owned cafés. There is generally plenty of seating, fast WiFi, and no one will mind if you stay for hours on end. Check online reviews. This can help give you a better sense of how suitable a place is for work before you waste your time hauling a laptop across town. Reviews will often mention typical connection speeds, the availability of seating, and the friendliness of staff. Designed specifically for remote workers, coworking spaces offer many significant advantages over other choices on this list. Typically, you have the option to rent a shared desk or a private office, at a daily, weekly, or monthly rate. While not yet widely accessible, these new spaces tend to have all of the features of a standard office. And, chances are, you’ll be seeing more and more of them. Small Business Labs predicts that there will be more than 26,000 coworking spaces worldwide by 2020. Coworking spaces provide a solution to one of the major drawbacks of the freelancing lifestyle: isolation. According to recent data, this sense of isolation isn’t just unpleasant, but can negatively affect your productivity, costs, and ability to meet deadlines. For this reason, if the sense of comradery and community is important to you, coworking spaces may be the ideal solution. Here, not only will you be surrounded by other remote workers, but you’ll also have fast and reliable WiFi, and many other features that are classically available in an office, such as private meeting rooms and printing services. Many coworking spaces offer additional incentives, such as free coffee, tea, snacks, and even beer! This means you won’t have to relocate for lunch, or to get your next caffeine fix. As the ideal workspace for any remote worker, it’s tough to find a reason not to take advantage of coworking spaces. The biggest issue is often lack of accessibility. As the remote working lifestyle is still becoming integrated into many areas around the world, in many cities, coworking spaces simply aren’t available. This is especially true in small towns or remote areas. Most major metropolitan cities will have at least a few options. 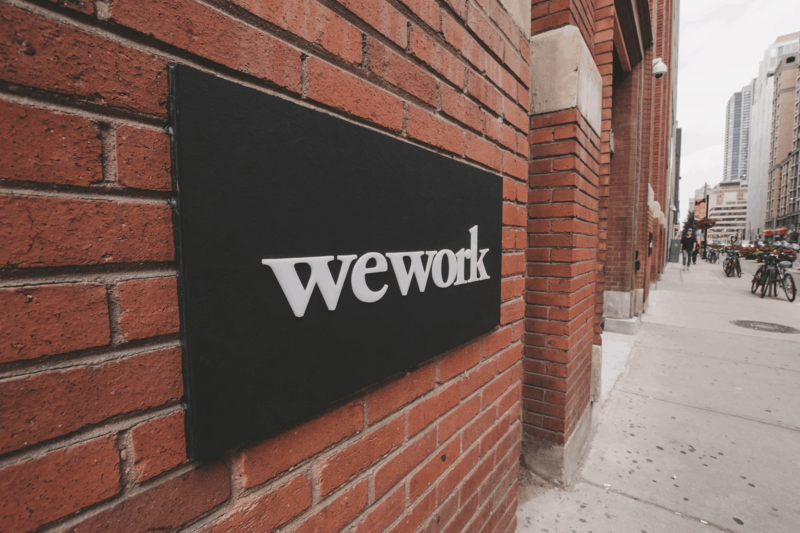 The cost of coworking spaces is another factor that may discourage you – they aren’t cheap. In places like New York and Seattle, prices can average as much as $300 to $600 a month. In Europe it’s not much better, with prices ranging €200 to €300 a month in cities like Amsterdam. They can even be an expensive option in countries like Thailand, where meeting rooms cost around $8 per hour to rent, with $125 being the average monthly rate. Sign up for the monthly rate. Many coworking spaces offer a discounted monthly rate that’s cheaper than the daily or weekly options (although some only offer monthly rates). Shop around for a coworking space that has attractive perks. Some commonly offered perks include free beverages, food, or office supplies. You should look for a coworking space that meets your preferences and requirements. Find a coworking space with a good social environment. While coworking spaces won’t be able to fully replace everything an office offers, they can help with the lack of social interaction experienced by many freelancers. Finding a coworking space that helps fill this gap can make a big difference in your quality of life. Anyone who has ever been a student has at least some experience spending long hours working in a library. So, for many freelancers, this may seem like an obvious and comfortable choice. Libraries are environments that are generally helpful for getting things done, whether it’s classwork or freelance work. Plus, most cities have one. But they’re not perfect either, and may be a less-than-ideal place to work, depending on your day’s tasks and personal preferences. 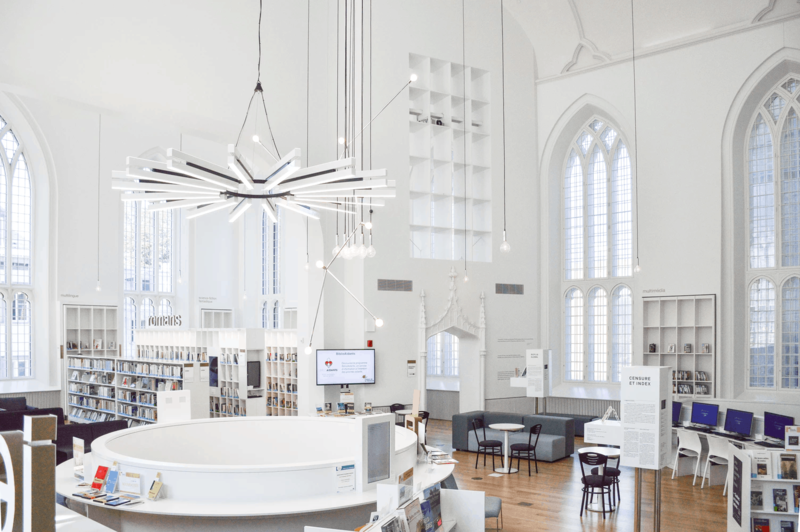 As the only option on this list that’s free virtually everywhere, libraries are an excellent choice for the cash-strapped freelancer who is sick of working from home. And since pretty much everyone knows that “there’s no talking in the library,” you can generally assume that you’ll also have an excellent place to concentrate. Libraries are often used by students who, like remote workers, require stable internet connections. This means they’re usually pretty good when it comes to WiFi speeds as well. This is true in most locations, even in developing countries where a stable WiFi connection can be hard to find. While libraries have a range of benefits for remote workers, some of those benefits can also cause problems depending on your day’s activities. For example, the need for silence is great for concentration, but if your work requires you to make noise, such as holding conference calls or Skyping with a client, these rules can also interfere with your productivity. Library hours can be restrictive as well. Many branches close fairly early, are not open during holidays, and may even be closed during weekends. So, if you tend to work during off-hours, a coffee shop may be a better option. Food and beverages are also a big no-no in most locations, meaning that you’ll usually have to relocate for lunch and coffee. Another problem with many libraries is that they often have long tables that are shared by visitors. If it gets busy, chances are there will be someone sitting and working right next to you. This can be distracting for some, especially if the nature of your work requires you to keep your screen’s content relatively private. Show up early. This will give you better odds of getting a good seat that’s by an electrical outlet. Look for university libraries. Many college and university campuses have libraries that are open to the public and that close late while school is in session. Get a copy of the library’s calendar. Pay special attention to local public holidays. Also, keep in mind that libraries are often used for public events, which could affect your ability to work. Technology has made pretty much everything about freelancing easier: from the ability to find and secure work online to staying productive throughout the day. So it’s no surprise that technology can also be used to quickly locate an ideal place to work. Apps can help you pick out the best workspaces available, without having to spend the time and energy checking them out on your own. So, whether you are looking to set up shop in a café, a coworking space, the local library, or an exclusive workspace, they are an option worth exploring. 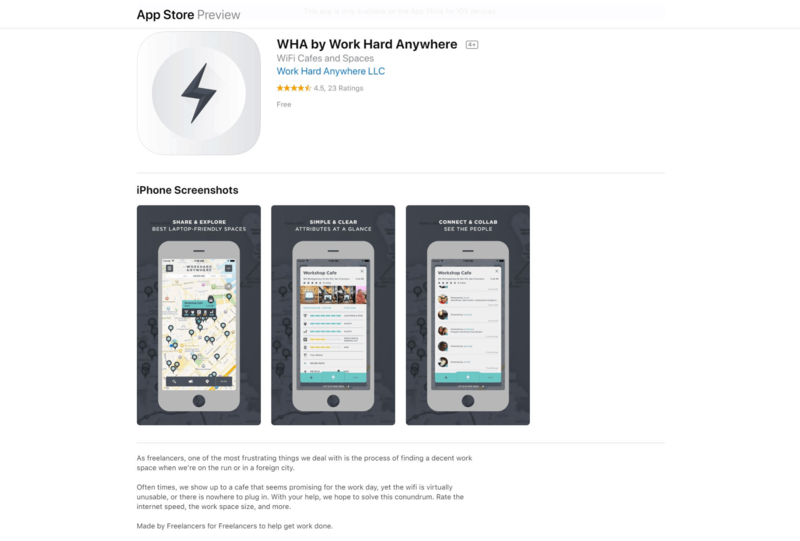 Some free apps, such as Work Hard Anywhere (WHA) for iOS, allow you to search for locations that are—as CEO Benson Chou puts it—“laptop-friendly.” WHA includes a user-rated directory that judges different workspaces in terms of WiFi quality, number of outlets, price, seating, and other factors. Alternatives include Workfrom and Global Coworking Map. Apps that crowdsource information can be limited if there aren’t many user submissions. However, they can still help you identify different potential workplaces that you may not have considered otherwise. Another app, Hoffice, allows people to rent out their homes or offices as workspaces for freelancers—sort of like Airbnb for remote workers. While not always the cheapest option, this can be great if you’re in need of a private space where you’re unlikely to be interrupted. Apps can be a great choice, but many come with hefty subscription fees (that said, some are also free, so it’s always worth looking into). And remember that you may be able to write off the cost of these apps come tax time. There are some incredible apps that identify establishments like restaurants and hotels that allow you to rent a temporary workspace during off-hours (such as Spacious, WEach Seats, KettleSpace, and Switch Cowork). However, these apps are generally limited to U.S. metropolitan areas, and may not be useful if you’re working in a more remote location. Check out the available options before you arrive. If you are planning to head to a new area, it’s worth seeing what others have said about the available work options. This could help you determine whether it’s best to stay on one side of town or another. Contribute in order to improve the experience. For apps that provide information based on user contributions, it’s always best to share your opinion as well. You’ve benefited from the information, so it’s good practice to help others in return. All of the above locations are potentially great places to work, but it all depends on your location. It may be that you have no local library, all the coffee shops in your area have horrible WiFi, and a coworking space has yet to open in your area. While this may sound like terrible luck, it’s the reality for many freelancers, especially those living in remote locations. The use of an app to find a good workspace can be of some help, but it still may not offer any good choices. Renting an office is another possibility, but this can be out of budget for many freelancers. If you are forced to work in your home or hotel room, do your best to stay motivated and on-task by creating a relaxing atmosphere that is free from distractions. Get some fresh air every few hours to give your eyes, back, and brain a break. And don’t forget the importance of staying hydrated—something so seemingly simple can make a huge difference in the quality of your work.